"Round Robin: The Sidekick's Revenge, Part 1: When Midnight Strikes!" Appearance by the Punisher and Moon Knight. "Round Robin: The Sidekick's Revenge, Part 2: Wilde At Heart!" Appearance by the Punisher and Moon Knight. "Round Robin: The Sidekick's Revenge, Part 3: Total Eclipse Of The Moon...Knight!" Appearance by the Punisher and Moon Knight. "Round Robin: The Sidekick's Revenge, Part 4: After Midnight!" Appearance by the Punisher and Moon Knight. "Round Robin: The Sidekick's Revenge, Part 5: A Bagel With Nova!" Appearance by the Punisher and Moon Knight. "Round Robin: The Sidekick's Revenge, Part 6: Out On A Limb." Appearance by the Punisher and Moon Knight. Amazing Spider-Man #359 is out-of-stock. Amazing Spider-Man #360 is out-of-stock. Amazing Spider-Man #361, 2nd printing is out-of-stock. 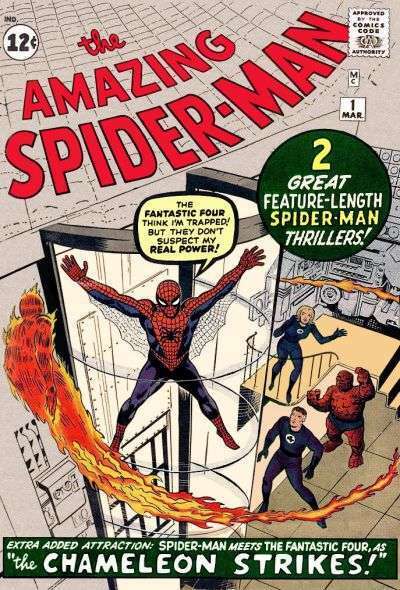 Amazing Spider-Man #362, 2nd printing is out-of-stock. "Carnage, Part 3: Savage Grace." Appearance by Carnage and Venom. Amazing Spider-Man #363, 2nd printing is out-of-stock. Amazing Spider-Man #364 is out-of-stock. First appearance of Spder-Man 2099. "Skullwork!" Appearance of Red Skull. "Invasion of the Spider-Slayers, Part 1: On Razored Wings." Versus Spider-Slayers. "Invasion of the Spider-Slayers, Part 2: Electric Doom." "Invasion of the Spider-Slayers, Part 3." "Invasion of the Spider-Slayers, Part 4: One Flew Over The Cuckoo's Nest." "Invasion of the Spider-Slayers, Part 5: Arachnophobia Too!" "Invasion of the Spider-Slayers, Part 6: The Bedlam Perspective."